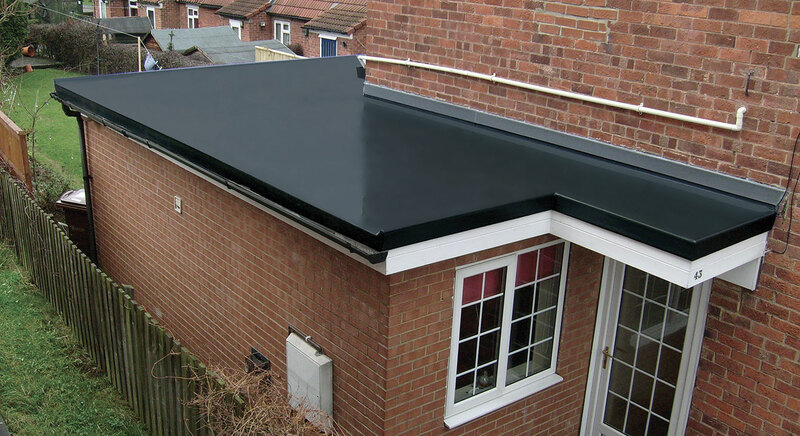 TuffStuff® GRP has been used to create a seamless hard wearing roof on this porch, garage and kitchen extension. The finished result is truly stunning. 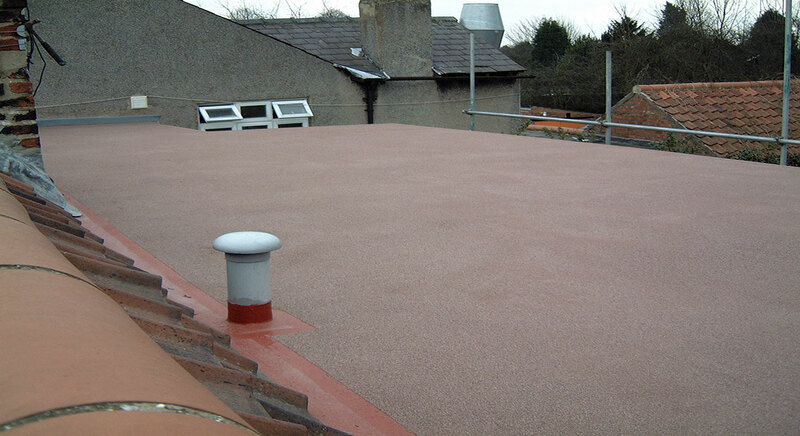 TuffStuff® GRP has been used to create an extremely durable long-lasting roof that looks fantastic. 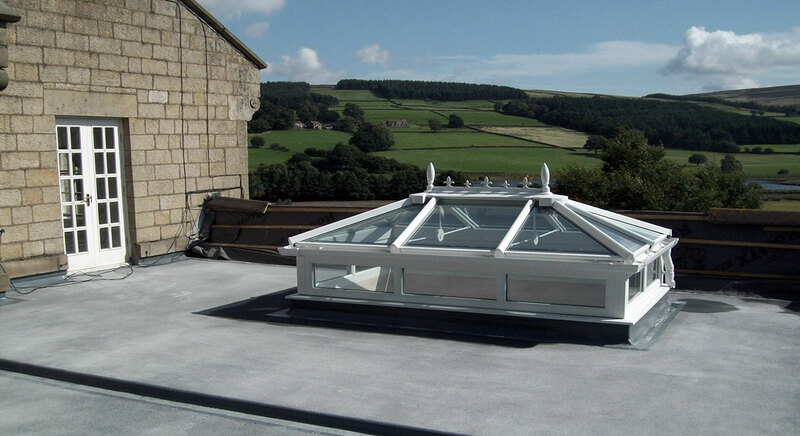 Roof lights are an excellent way to filter natural light into compact areas. 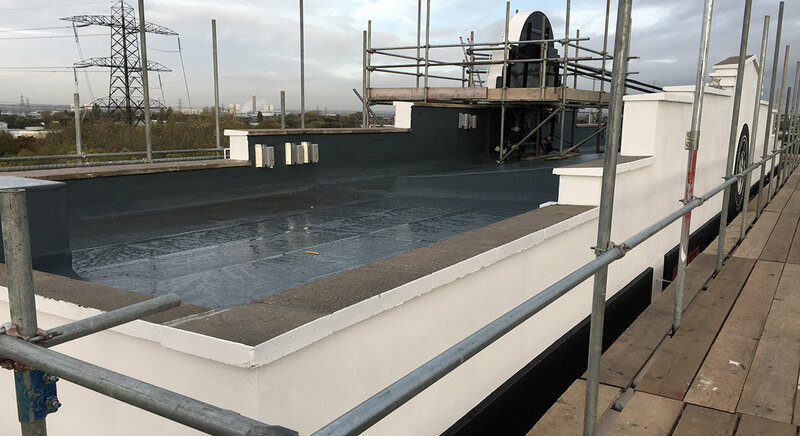 This image shows how TuffStuff® GRP has been used to create a seamless finish across the entire roof including the area around the roof light. 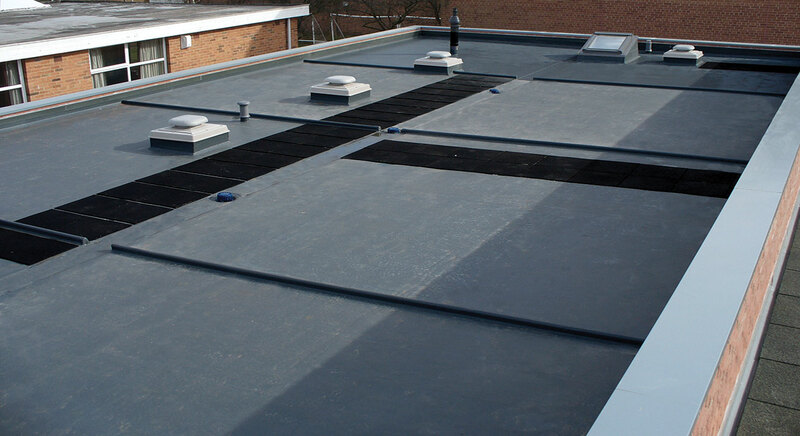 This image shows how TuffStuff® GRP provides an outstanding seamless fully waterproof solution. 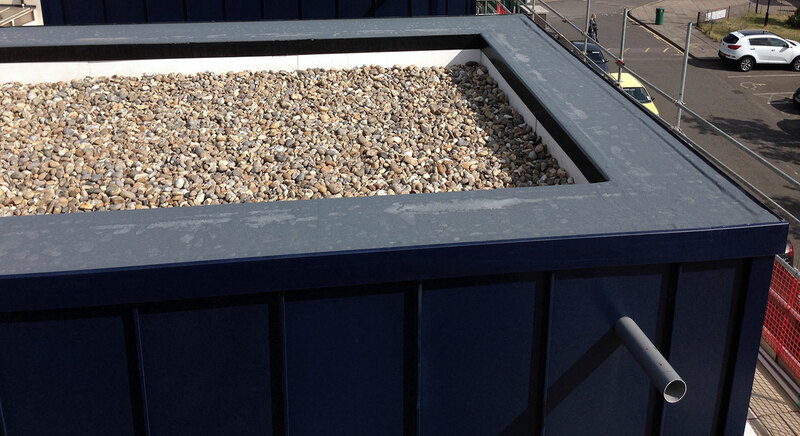 This TuffStuff® GRP roof doubles up as a roof terrace. 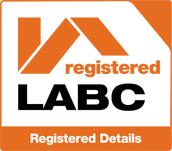 The area is often used by the homeowners on sunny days to sit back and enjoy the beautiful views. Look closely to see how easily TuffStuff® is installed around the roof light and patio doors. 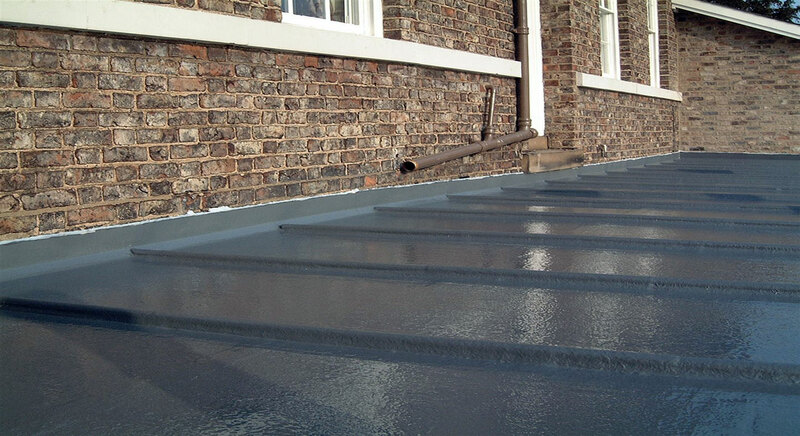 The hardwearing nature of the TuffStuff® GRP product make it ideal for use on balconies as it not only provides optimum waterproofing properties but can be used in areas that receive light foot traffic. 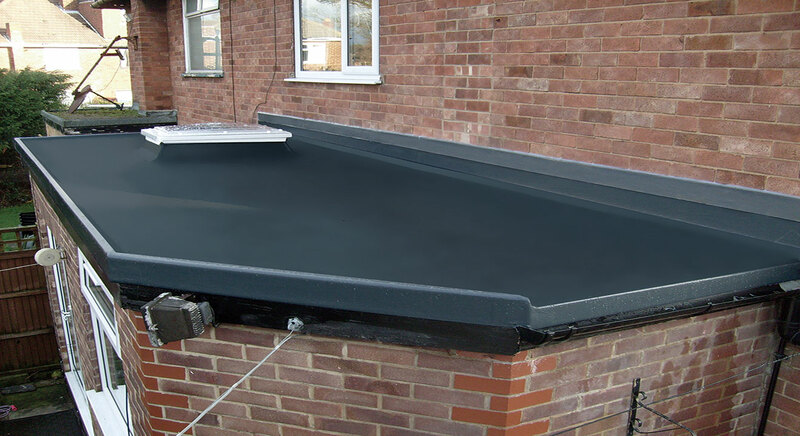 This TuffStuff® GRP roof has taken full advantage of our simulated lead roll trims to create a striking lead effect flat roof. The added benefit of this solution is that TuffStuff® has no scrap metal value. 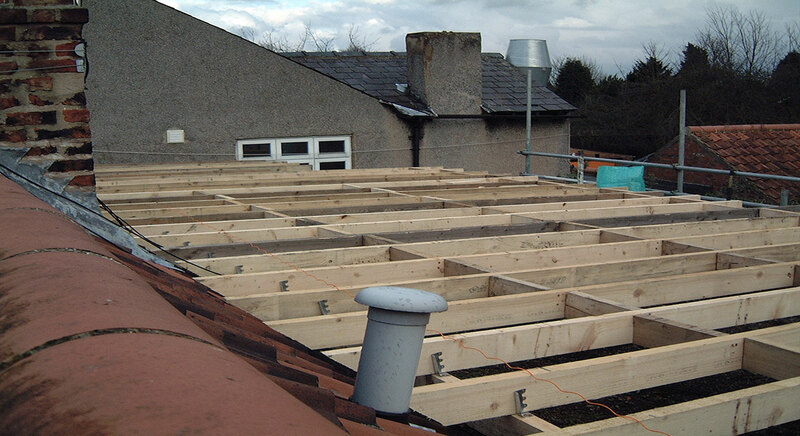 A large flat roof area fully prepared for decking to be installed. The roof has now been fully decked and laminated. 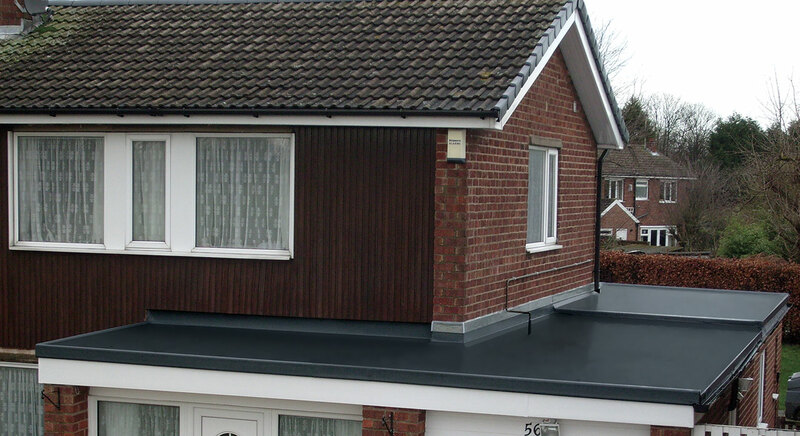 The roof has been finished with the striking TuffStuff® GRP Sienna Top Coat with a Brindle texture finish. 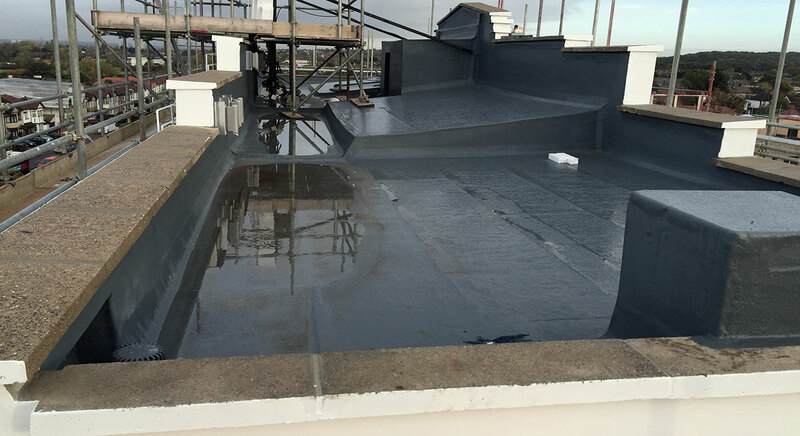 The versatility of the TuffStuff® GRP product enables virtually any horizontal, vertical or sloping surface to be waterproofed easily to extremely high standards. 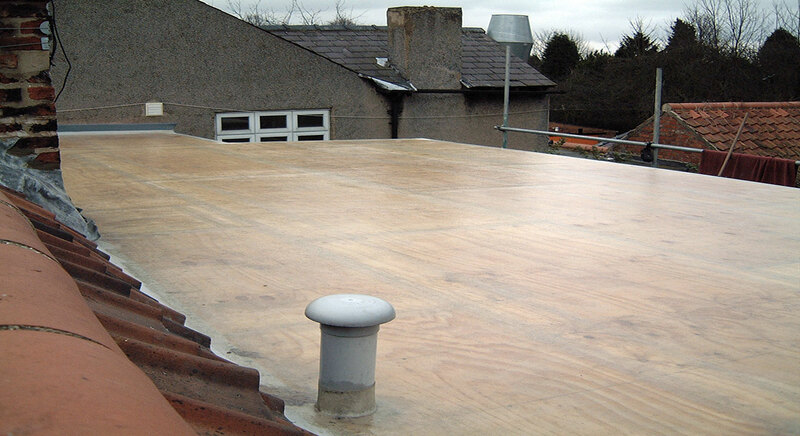 This image shows how TuffStuff® GRP can be used to fully waterproof unusual flat roof areas. 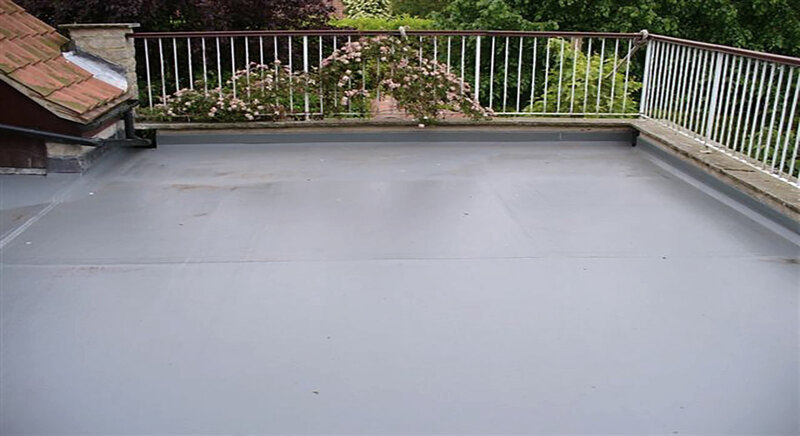 The size of a flat roof is nothing to worry about when using TuffStuff® GRP. 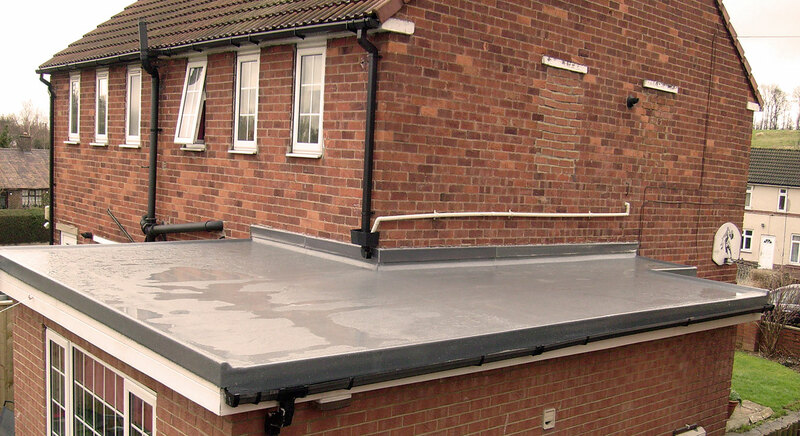 This image highlights just how easily TuffStuff® can accommodate drains, ventilators, roof lights and flues.